As you will by now have seen, construction has started on the four new raised pedestrian crossings in Main Street. 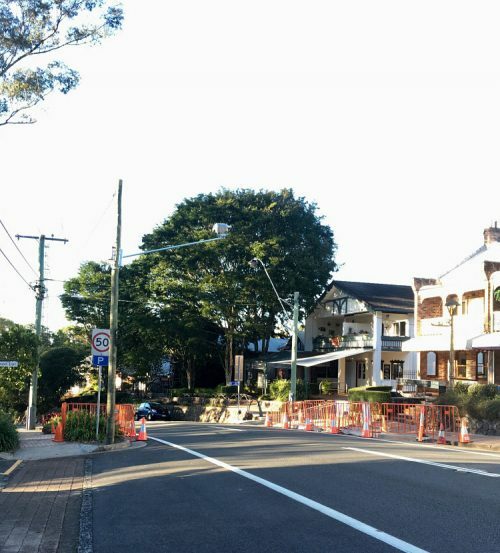 Daytime footpath, kerb and road works commenced on 20 August. Night time construction of crossing humps and line marking commence on 3 September. Road lighting is now complete. There will be noise associated with these works but council will try to keep to a minimum where possible and they will also be in contact with affected residents/businesses. There will be traffic management measures in place and electronic signage boards will notify people of what to be aware of. I’m sure everyone has been watching the progress by council on the walkway between Western Avenue and Hoopers Engineering at the start of Balmoral Road and will now be aware the work is completed. I’ve been given some history to this and thought I’d share as some of you, like us, have not been here for long. Around 10 years ago, the Montville State School and the MVA asked the Sunshine Coast Council for the track between the Main Street end of Western Avenue and Hoopers Engineering to be joined up because it was unsafe for school students walking and cycling to school. At the time, it was investigated and the cost to construct such a link was deemed too high and also that it was a Main Roads responsibility. Local residents who walk regularly continued to ask Jenny McKay of the Council to help. 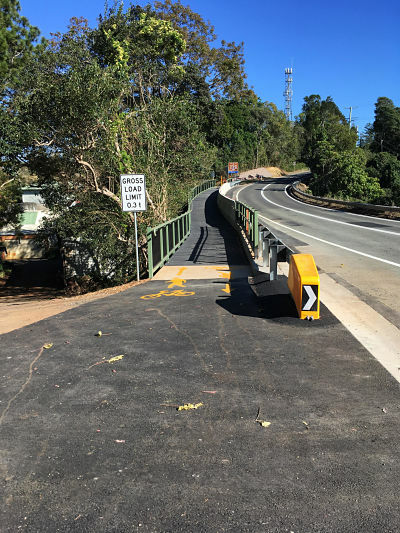 As the working relationship between Council and Main Roads improved and better communications developed between community and business groups, Jenny McKay and Andrew Powell, Member for Glasshouse, brought their teams together to find funding and to design a walkway. Funding of $500,000 was duly obtained and the final assistance that enabled the project to go ahead was a very generous contribution from the Hooper family, whose land adjoins the walkway area. The community acknowledges the huge effort involved from all participants and thanks Jenny and Andrew for providing the mechanisms for the project to be completed. It is hoped that the walkway will be named the Hooper Crossing. This is much needed infrastructure for Montville and will ensure safety for all walking into town from the south. We walked it the other day and it really does make a huge difference (more than I expected in spite of the fact that previously everyone had to walk on the road at that point). It’s fantastic for us all to have the benefit of this walkway – hopefully all walkers and runners will include it in their perambulations. Everyone will be glad to see that cars don’t have to park all over our grass verges in Western Avenue and further down Main Street, now that the car park is finally open for business again. This was one of those projects that caused angst in the months leading up to work commencing but hopefully it’s something we can all be proud of. It does look good at least and council have done a great job with landscaping and making the place look attractive. Here’s hoping for rain to get those trees growing fast! !